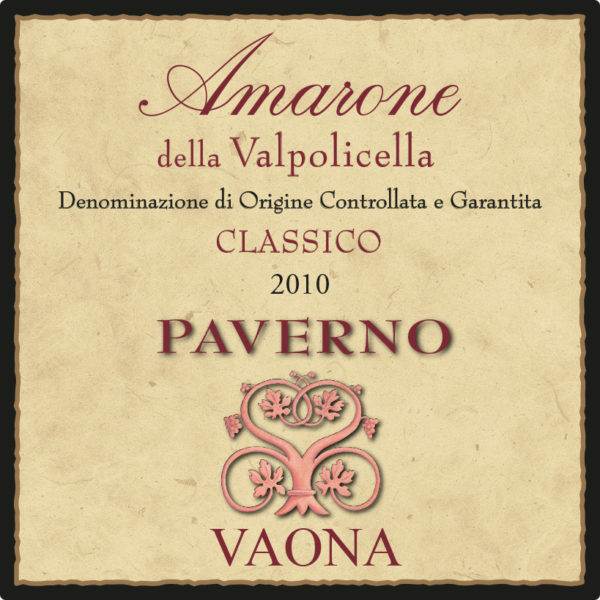 Amarone with grand personality, made from Classic Veronese Corvina, Corvinone, Rondinella and Molinara grapes. Excellent with richly flavored dishes and with red meats and game in particular. Also a fine companion for ripe cheeses. Uncork at least an hour before drinking!